WordPress is a free and open source blogging platform or content management system based on PHP and MySQL. Currently WordPress is the most popular CMS all over the world, and has 20000 plus plugins to extend its functionality.You can easily create a simple website, blog or complex portals and enterprise websites using WordPress. WordPress is available in more than 70 languages. So you can build a website in a language as your choice. You can easily manage your content, schedule, look and publication using WordPress, and also secure your posts and content with a password. WordPress comes with thousands of themes for you to create a beautiful website. You can also upload your own theme with the click of a button. With the importers feature you can easily import your blog from another website to WordPress. WordPress provides search engine optimization out of the box, and also provides many SEO plugins. In this tutorial, we will discuss how to install and configure WordPress on a CentOS 7 server. A server running CentOS 7. A non-root user with sudo privilege setup on your server. Once your system is up-to-date, you can proceed to the next step. Before installing WordPress itself, you will need to install the LAMP stack and other required packages on your server. Next, you will need to make some changes in the WordPress main configuration file, so it can be connected with the database and user. 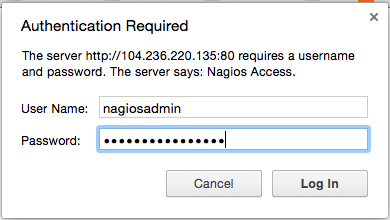 Before starting, you will need to allow access to the Apache ports using firewalld. Congratulations! You have successfully installed WordPress on CentOS 7. I hope you have now enough knowledge to host your own WordPress blog easily. Feel free to comment below if you have any questions.